“…Here we find yet another passionate matron – widow or unfaithful wife – swooning under the embraces of her mature lover. 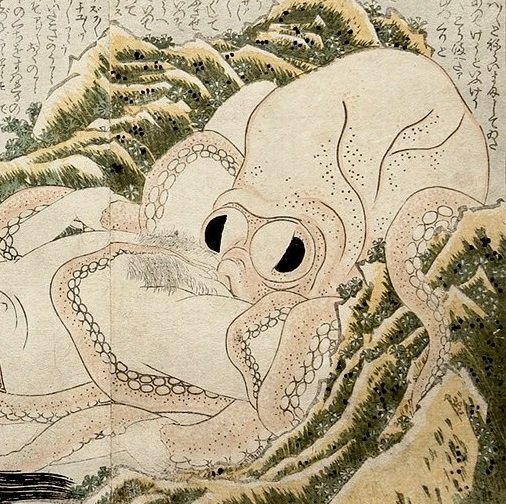 The conversation – presumably by Hokusai himself – is again not very edifying, consisting of the female’s directions to her lover regarding the proper placement and the manipulation of his ample phallus. Click HERE for an extensive interview with the artist…!! !